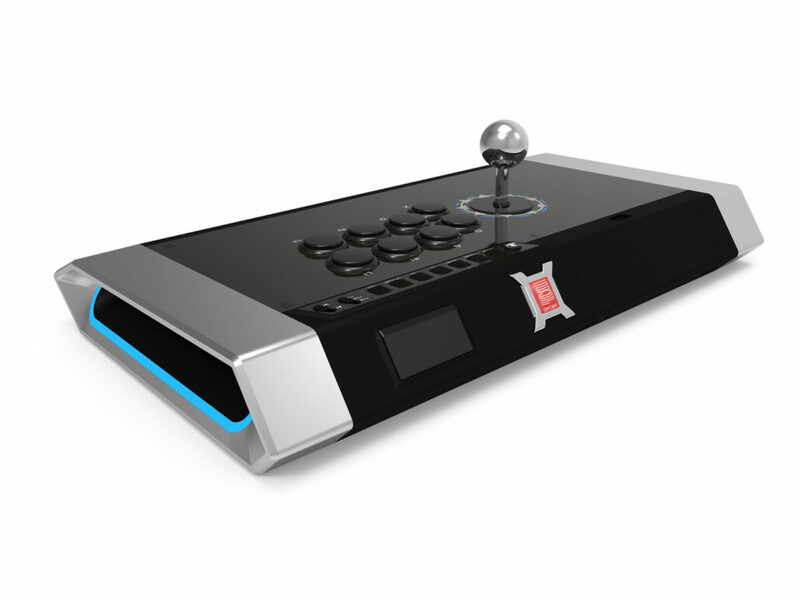 Since the moment MadCatz officially exited the fight stick scene, gamers usually have had two big brands to choose from when it comes to an entry level stick: Qanba and HORI. While HORI tends to use their own proprietary components, Qanba has primarily stuck with Sanwa Denshi parts. After all, there’s a reason that they remain one of the top choices for fighting game enthusiasts whether your name is well known to stream monsters. Qanba’s higher end stick, the Qanba Obsidian, has been one of their best sellers and for good reason. 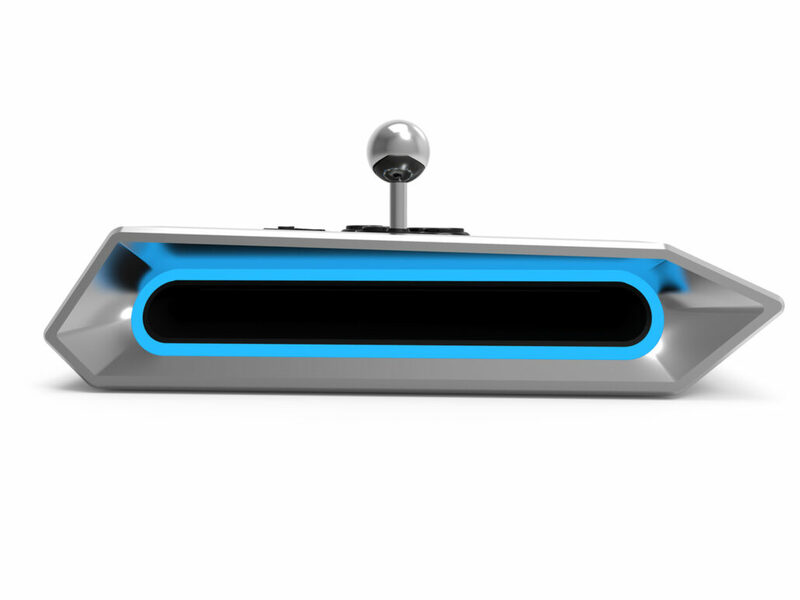 While most of Qanba’s line have had unique designs to stand out from the MadCatz or HORI sticks, Qanba hasn’t done much in terms of licensed designs. With the Tekken World Tour finals less than a month away, Qanba has celebrated the occasion with a new pixel-inspired design to showcase whichever character you main in Namco Bandai’s signature fighter. The moment that Sanwa Obsidian comes out of the box, it’s clear to see what makes the Tekken World Tour edition unique to the other models in the Obsidian line. Adorning the top of the arcade stick is the full roster of Tekken 7 castmates in pixel form in a clean repeating design that stands out from the elaborate character-specific designs that routinely adorn licensed sticks. The simple black background doesn’t detract from the body of the Qanba Obsidian: black throughout with steel side panels that give it an eye-catching frame. Those side panels aren’t just for decoration, either; they function as fine handles for carrying your stick into winner’s finals and blue LED lighting within that can flicker on in a various number of modes (I tend to leave it on reaction mode where every button press lights up the sides). The overall blue-and-black aesthetic fits well with the other Sony products in my home office. Bearing a full array of black Sanwa OBSF 30mm pushbuttons in the standard Vewlix button layout (leftmost buttons slightly lower than the remaining six which lay in two horizontal rows), gamers should instantly know what they have in their hands the first time they pick up a Qanba Obsidian. There’s a reason why Sanwa Denshi pushbuttons are the gold standard for tournament play. They’re responsive, easy to repair/replace, and have a satisfying ‘clack’ every time you push a button. Sanwa buttons might not be the most durable buttons on the market, but if you’re not throwing down your stick after every salty loss, you’ll easily get months of use out of the buttons that come standard on the Qanba Obsidian. The other crucial part of the control scheme comes by way of a Sanwa JLF joystick, again the standard for most tournament players. In its stock configuration, it’s got a nice clicky response in all four cardinal directions, giving you just the right amount of audio feedback when you’re trying to hit those quick 360’s as Tager. There’s a decent amount of deadzone to the stick that will be easily noticeable as you rock the stick from side to side, but that’s not atypical of a Sanwa joystick. A wider actuator can cut down on that deadzone and a tighter spring can aide in response time getting back to a neutral position, but both of these mods are something that you’ll have to do on your own by opening up and modifying the Qanba Obsidian’s internals. 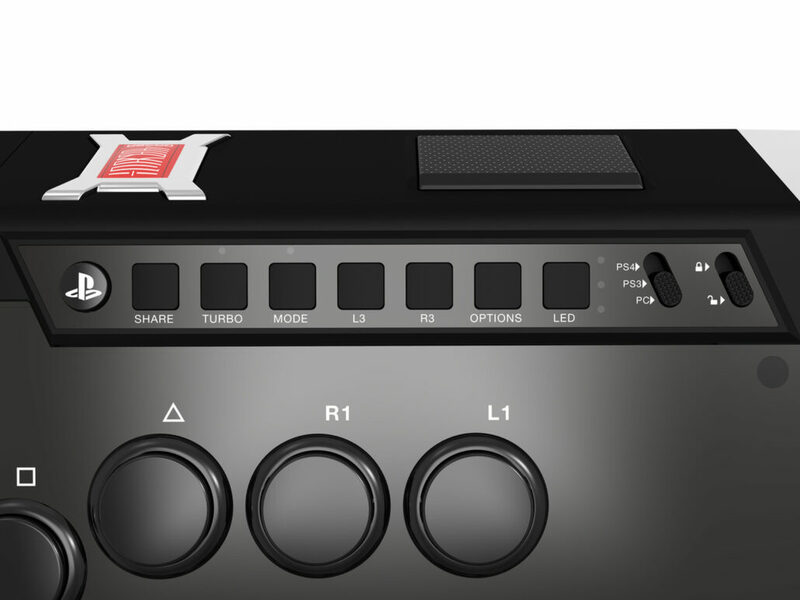 The lesser essential buttons on the Qanba Obsidian, from the L3/R3 buttons to the Options and LED toggles, are all delegated to a small horizontal control panel across the top of the Obsidian. This is a vast improvement over that compact control deck on the Qanba Dragon that I marked as one of the few negatives to that premium stick and is just far enough out of the way that you won’t accidentally pause mid-match when you’re trying to mash out a last resort special attack. Of course, there is a toggle switch to lock out the controls that aren’t needed to prevent such a scenario from occurring when you make it out of pools. The only button that isn’t left on the top of the stick is the touchpad, relegated to the back right of the stick and located where you’d typically find the Share/Options button on a MadCatz fight stick. It’s been a while since arcade stick manufacturers opted not to include a crucial button like the touchpad on one of their sticks, but it’s still a good feeling to see one included and not in a location that’s difficult to reach. If you’re looking to modify your Qanba Obsidian, whether it’s swapping out buttons that have gotten worn out or wanting to try a different tension spring on the stick lever, opening up the Obsidian is a fairly easy task. Granted, you *will* void your warranty by cracking the unit open, but most players will understand the risks and do some in-home maintenance all the same. On the underside are a small number of screws (one of which is marked by a tamper-evident sticker, just in case you needed one last reminder of what you’re getting yourself into). Once all of the screws are removed, the bottom half of the shell easily comes off; there will be a ribbon cable connecting the headphone jack that you’ll need to carefully detach before the bottom shell can be put aside. Once you have a look inside the Qanba Obsidian Tekken World Tour, it’s clear to see that the team at Qanba are passionate about having players really take control and make the Obsidian their own. All of the wiring is neatly wrapped up with color-coded cabling for each button just in case you’re swapping out the entire eight-button layout at once. You won’t be limited to just sticking with another set of Sanwa pushbuttons either; if you’re wanting to mix up what the Qanba Obsidian feels like, other 30mm pushbuttons will also do the trick, whether they’re from Hori, Seimitsu, or the new experimental GamerFinger/Razer switches. It might not be as easy to pop-and-swap buttons/sticks out as the Qanba Dragon, but that’s one of the few luxuries available when you pay more than $250 for an arcade stick. When you finally decide to become a World Warrior and take your stick with you on that Tekken World Tour, chances are you’re going to need something TSA-friendly that can travel in style. The Qanba Aegis is their new line of travel backpack that easily fits not just the Qanba Obsidian, but all the way up to the Qanba Dragon which I thought would never have a good carrying solution designed that wasn’t a duffel bag. Not only is there an absurd amount of storage for the stick itself (the main compartment is well-padded with an extra square support brace that can cradle the joystick if you haven’t modded in a detachable solution yet), but there are also more compartments and zipper pockets than you’ll know what to do with. If you really want to go for the all-in-one poverty solution, the Qanba Aegis can fit a pair of Qanba Drones, a laptop loaded with Melty Blood, and a 4G hotspot for streaming the finest of poverty titles no matter what venue you’re in. Overall, the Qanba Obsidian Tekken World Tour is a mid-range stick that performs well under pressure. The control deck is a massive improvement from the Qanba Dragon, and while it might not have the accessible lid of its $300 cousin, the Qanba Obsidian features the same internals and remains quite easy to mod if you want to tweak the stick and truly make it yours. Just don’t mess up the Tekken World Tour artwork if you do. It’s worth noting that the device is compatible on PlayStation 4, PlayStation 3 and PC. Review unit provided by the manufacturer. You can purchase the Arcade Stick from Newegg.